By the time we hit November I admit that my mind is already racing ahead towards Christmas. But it’s nice to take some time with the kids to make some crafts that are related to this season of Thanksgiving. Crafts don’t have to be complicated for the kids to have fun. 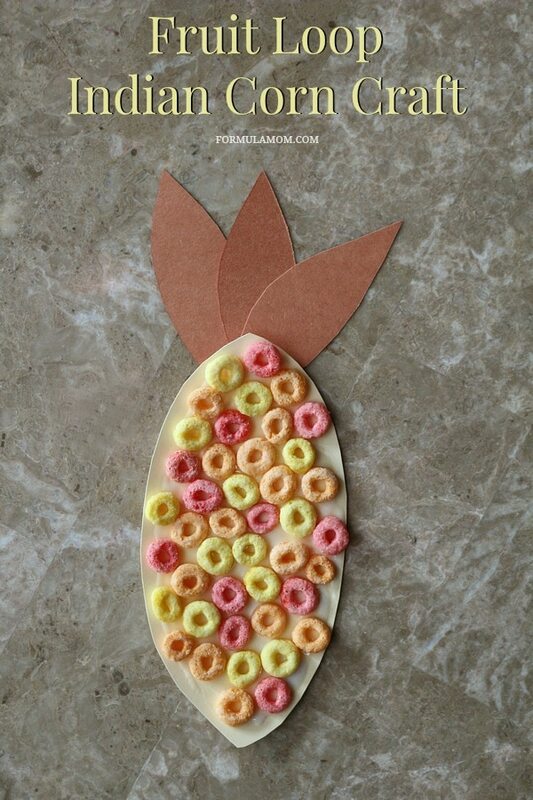 We had a blast making this Fruit Loop Indian Corn Craft for Kids! I love a good simple craft that the kids can do without getting frustrated. W seems to love any craft that involves glue and edible supplies. I just have to remind him not to eat the pieces of cereal that have glue on them! Sort out the red, orange, and yellow Fruit Loops. Get the kids to help you with this! Cut a corn shape out of the card stock. I folded it in half and cut out two from one sheet. Card stock works better than thin paper for this craft. Cut some leaf shapes out of the brown construction paper. 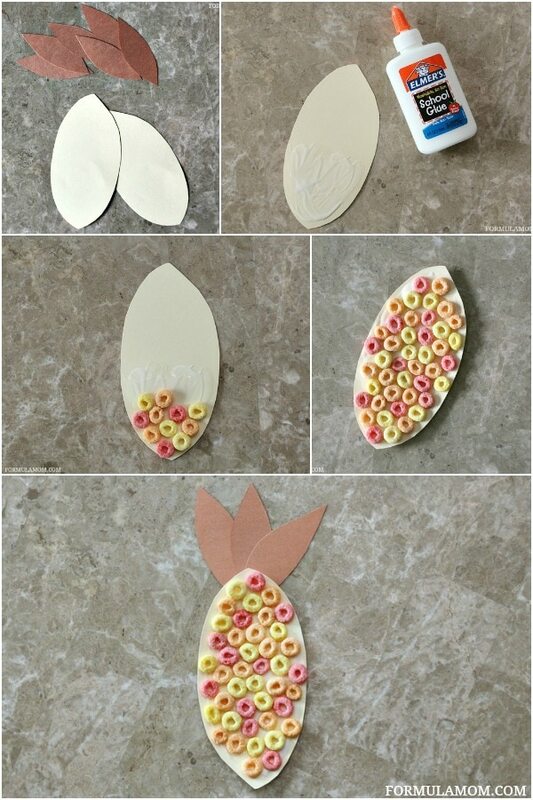 Spread glue over part of the corn shape and then begin placing cereal pieces on. 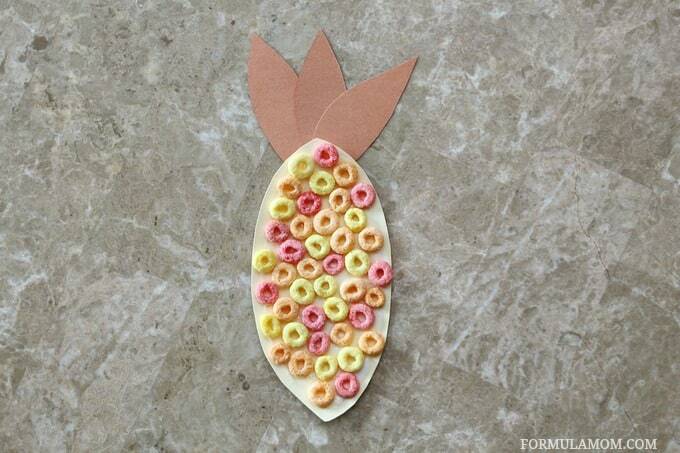 Continue with glue and cereal until the card stock corn shape is covered. Glue three brown leaves to the back of the corn and let dry. 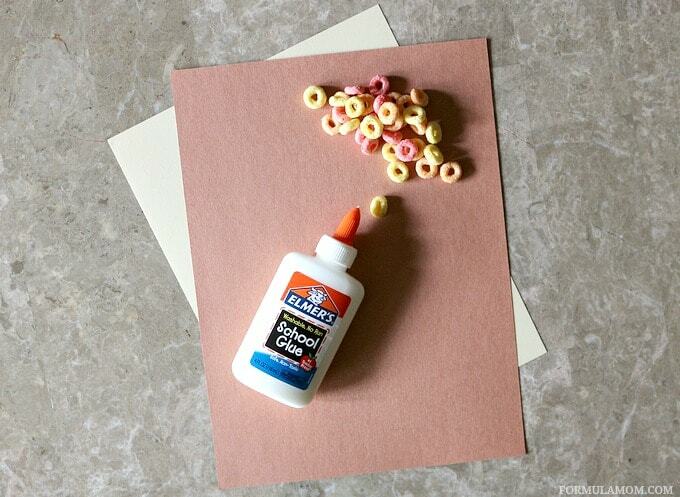 And you can even enjoy snacking on some Fruit Loops while you make this fun craft. It’s great for all ages. W had a blast making his own corn and C had fun throwing cereal all over the floor. What are your favorite ways to celebrate the Thanksgiving season with your kids?